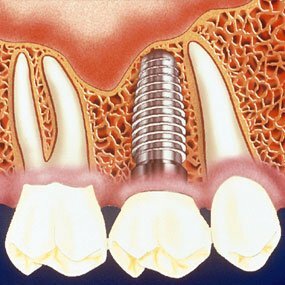 If you are suffering missing teeth you could be an excellent candidate for dental implants. At Periodontal Associates – The Dental Implant Team we believe in providing each patient with the best possible care. To determine if you are a candidate for dental implants, Dr. Ken Versman, Dr. Doug Heller, or Dr. Eric Beckman will give you a comprehensive evaluation to determine if this method of treatment is your best option. Most patients who are missing teeth, and who are healthy enough to undergo oral surgery, can be considered candidates for dental implant treatment. Patients will need to have healthy gums and bone to support getting a dental implant. If you do not meet these requirements our treatment coordinators and doctors will be happy tailor your treatment goals to include restoring your gum and bone health. For over 40 years Periodontal Associates – The Dental Implant Team serves the Denver metro area including Aurora. Call 303-755-4500 to schedule your consultation today. Click here for easy online scheduling.